How did you wake up today? Did you grab your phone first thing and start scrolling thru social media or your saved articles to read? Did you launch out of bed to get a few things done before the rest of the family woke up? Maybe you had a stimulating conversation with your spouse or roommate. Or did you need a few minutes to quietly relish a cup of coffee or tea before the day began? How you start your day says a lot about who you are and how you interact with the world. It’s also one of the key questions I hone in on when people ask me about systems and processes for their business. 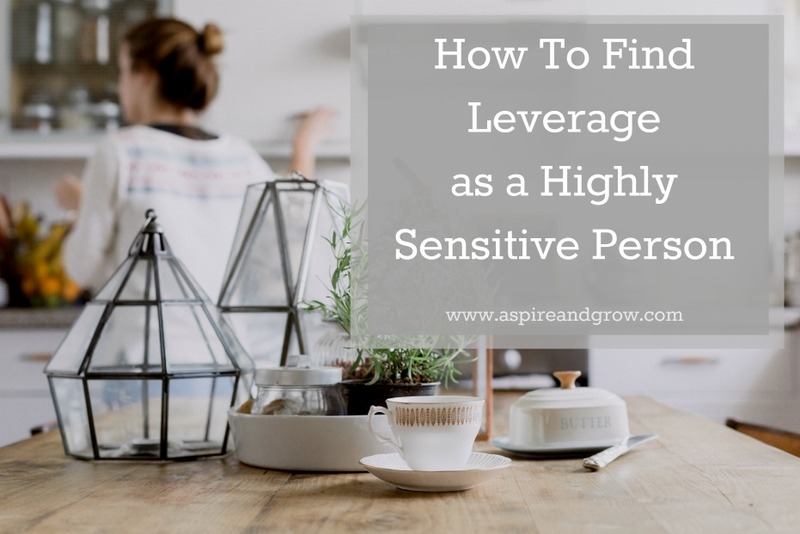 If you’re like me – a Highly Sensitive Person (HSP, for short) – your days need to be full of quiet moments from the start in order for you to feel in control, relaxed, and confident. It took me a long time to realize that I am a Highly Sensitive Person. And then it took a little while longer to realize this isn’t a Scarlet Letter on my chest. HSPs are, in fact, some of the greatest leaders and are quite effective in their roles. Jim Hallowes cites, “Abraham Lincoln….Carl Jung….Steve Jobs….Princess Diana. They are all HSP! (Highly Sensitive Persons) or what I also refer to as “Alphas” — those people who have an on going tug-of-war between their head and their heart, individuals who are in touch with both their Masculine and Feminine Energies.” Sound familiar? When you’re an HSP, you’re highly systematic. You cook with a recipe, you drive with a GPS, you plan itineraries for big trips. And in business you are often drawn to formulas, blueprints, and the purported step-by-step processes to get you from A to B. But the flip side of your coin is that your energy is pulled out quickly by extreme stimulation. You are aware of the subtleties in your environment. You are incredibly intuitive and can easily tell when the truth is hidden under even the thinnest layer. And so formulas feel like an ill fitting dress. Solutions that work for others don’t sit right with you. The tools that help your colleagues and mentors stand out leave you feeling depleted, exhausted, and immobilized. HSP benefits greatly from creating processes for a more streamlined business that are customized to their needs and desires, and they probably already have some in place and don’t even know it. By nature, an HSP actively avoids situations where they feel out of control or easily overwhelmed. It makes complete sense, then, that they instinctively build systems around them to gain that feeling of control. But what if you haven’t built those systems? What if you find yourself reaching out to community after community searching for the right answer? What happens when your energy is pulled in multiple directions trying to find your inner compass? Stagnation. Fear. Distrust. And, ultimately, the untimely end of a business that truly needs to be out in the world. If you’re a person who is an HSP (and maybe you’re reading this and just realizing now that you are), your priority to stay afloat has to be focused on your processes, your systems, your customized solutions to that overwhelm creep that happens so quickly in the digital world. Every day I put systems in place to help me interact with the rest of the world from my vantage point as a Highly Sensitive Person. I use project management tools to manage information flow, calendar and scheduling tools to keep me from overextending myself, document storage for clear communication and easy access, and I pre-schedule much of my ongoing social media campaigns with a tool that works the way I think, freeing up time to interact on those channels that really have the highest return for my business. I’m outing myself as an HSP because I have a feeling that there are a whole bunch of unidentified HSP entrepreneurs (HSPreneurs? Does that work?) out there who feel really alone. After all, your natural response to the world is to curl up, retreat, hide. So here I am and you are not alone. You are understood, you are magic, you are meant to do this work. You just need a plan that’s customized precisely for you. Over the next few weeks I’ll continue to share more of everyone’s favorite lists of apps, hacks, and tools for business simplicity. I’ll also be addressing this need: the one for specificity and not formulas. The need to create what works for YOU, not the masses. I’ll share why it matters, what kind of impact it can have, and how, if you’d like, I can help you get there. Can you do me a favor right now? Forward this on to three people who you know need to hear these words. Invite them to subscribe, follow me on Twitter, or join our Facebook group – whichever feels more THEM. It’s my goal to reach as many people who need to hear these words as possible and I need your help to get there. Take an extra second right now and click any of those social sharing buttons on the side or grab the URL and send an email to three heart-centered, systems-craving, people-focused entrepreneurs. Because perhaps that’s what HSP truly stands for after all – Heart, Systems, People.